It is the first adolescent-focused treatment facility of High Point Treatment Center, well-known for its excellent quality of care in adult addiction services. Up to 24 teenagers, ages 13-17, reside in a renovated brick building in Brockton, MA, learning how to maintain their goals of being clean and sober. The program integrates traditional 12-Step and other recovery programs with a novel approach to treatment based on respect, brain-based neuroscience, and an appreciation of the influences of the home and social environment on a person's current emotional, psychological, and cognitive self-image. 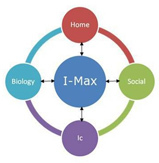 These are organized into a treatment philosophy called The IMAX Approach, created and developed by Dr. Joseph Shrand, CASTLE's Medical Director. For more information and explanation of the IMAX Approach, click on the IMAX link below. The CASTLE is a short-term 24-hour addiction treatment program for adolescents who abuse or are dependent on alcohol or drugs, which may be accompanied by mental health issues. Services include medical detoxification, addiction treatment, acute stabilization, dual diagnosis, psychiatry, psycho-educational groups, individual counseling, family therapy, group counseling, case management, aftercare planning, 12 Step meetings, and traditional AA/NA commitments. 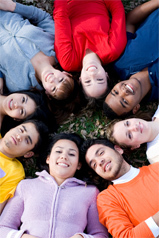 CASTLE adolescent outpatient behavioral health treatment at four of High Point's Outpatient sites consists of providing individualized services which meet the teen's needs as well as the teen's family. This could consist of individual, group, or family treatment. Work around important collateral relationships such as schools can also be incorporated into the plan as necessary. As it is a best practice, family collaboration or treatment is encouraged as long so it is considered clinically appropriate. Copyright © 2010 The CASTLE. All rights reserved.